Celiac disease is a surprisingly common disorder — one that’s treated entirely by making the right changes to your diet. Get tips for celiac disease treatment and diet. Celiac disease is a surprisingly common autoimmune disorder. It can begin at any time in a person’s life, and there is no consistent set of symptoms. Luckily, the disease is almost entirely treatable with the appropriate dietary changes — so feeling better is as simple as knowing what to eat and what to avoid. Celiac disease is a surprisingly common autoimmune disorder — one that's treated entirely by making the right changes to your diet. When you have celiac disease, eating gluten-free becomes a way of life. Find out if "gluten-free" is forever. Confused about whether to go gluten-free? Read this to find out if you should. Check out the answers. Controlling celiac disease is not so much about foods you should eat as foods you shouldn't eat. Here's a list to take with you to the grocery store. Learn celiac disease diet tips that you can easily use every day. Here are foods to avoid when going gluten-free. When you're diagnosed with celiac disease, reading food labels can be daunting. Here's how to make reading labels easier. 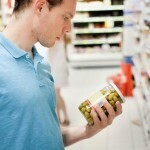 Many celiac-safe food products are now available at grocery stores. 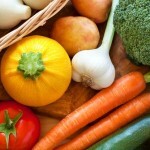 Here are my favorite healthy picks. 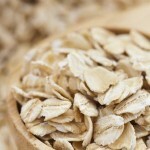 Oats can be a safe food, but not all types are created equal Learn what to look for on the label. Learn about non-celiac gluten sensitivity, the low-FODMAP diet and many other interesting things. Making the appropriate dietary changes is the most important way to treat celiac disease. Here are smart tips for gluten-free eating. If you've been diagnosed with celiac, take the right precautions to ensure a healthy life. Here are 5 ways you can protect your health. Have a gluten sensitivity or looking to eat a gluten-free diet? 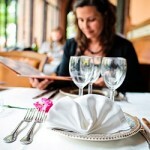 Learn how to make smart choices when dining out.